I was eager to get my hands on this show. I mean, anything set in the past and I feel the immediate need to watch it. 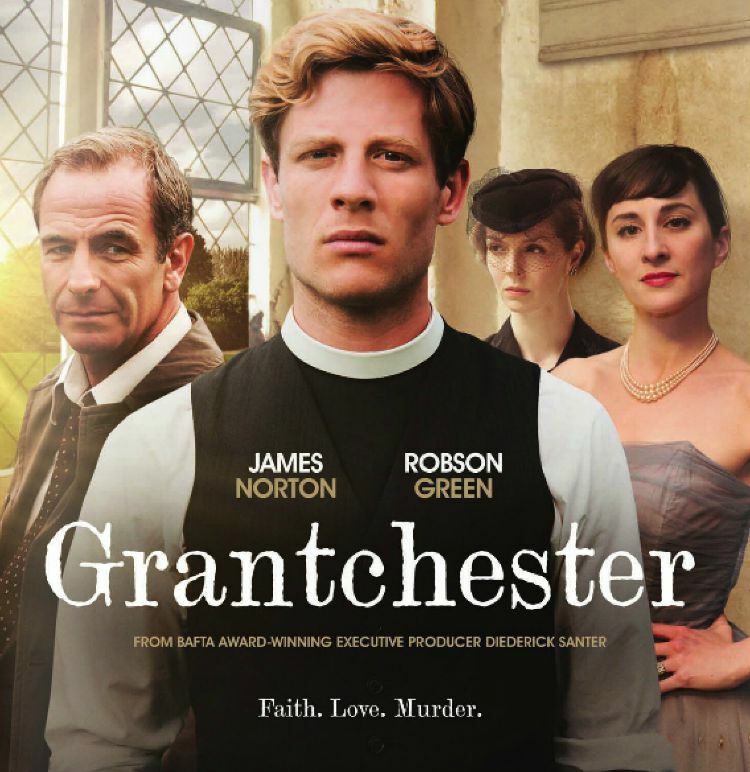 So when I discovered that Netflix was going to have Grantchester I put it at the top of my queue. You know I won't give away anything big in my posts when it comes to my book, film, and show reviews but I will tell you this-I am completely hooked on the show! 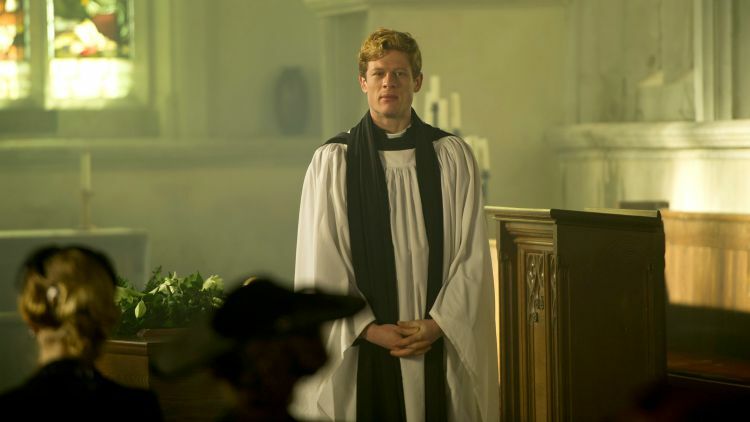 It is set in the 1950's and follows a young and dashing Anglican Priest named Sidney Chambers (James Norton) who is quite the opposite than most priests of the day. He is in love with a woman named Amanda, he drinks, he loves jazz, and he helps solves crimes. As some of you already know, Anglican Priests are allowed to be married and they are actually very much encouraged to do so, but Sidney's love life isn't always so cut and dry. His partner in crime so to speak is a detective inspector named Geordie Keating (Robson Green) who he aids in putting the pieces together on various murders. Now it sounds far fetched that a priest would be solving crimes but how it all happens and keeps happening very much makes sense. The story that inspired this show comes from a series of books, the first one called Sidney Chamber and The Shadow of Death: The Grantchester Mysteries. I think I may have to start reading these books because I just adore the character of Sidney Chambers. Sidney is flawed and struggles with being true to himself and his faith. He is also aware that he is from a different world than his love Amanda and struggles with that. The show is so very well written. I love how every scenario is so realistic. And let's not forget the town of Grantchester. It is beautiful and I want to jump into the screen every time I see it. The main actor who plays Sidney is very easy on the eyes, the bromance between himself and Geordie warms the heart, and his real day-to-day struggles are very relatable. I am so glad I watched the show and I don't say this about many shows but I definitely want to own season one. If you cannot get season one on Netflix you can also score it here on Amazon. Have you had the chance to see the show yet? If so, what do you think of it? If not, are you interested in checking it out? No, I hadn't even heard about this series yet, but you've definitely piqued my interest. With so many period series ending/having ended recent or on seasonal hiatus, it would be great to find a new (to me) one to delve into. Thank you very much for the recommendation. Sounds fabulous. Thanks for the tip! Thanks for the info on this! I've seen it advertised a few times now and had no idea what it was about, it actually sounds quite good!